Possible Cheaper Fighter Attack Airplane for U.S. and Allies? Possible Cheaper Fighter Attack Airplane for U.S. and its Allies? 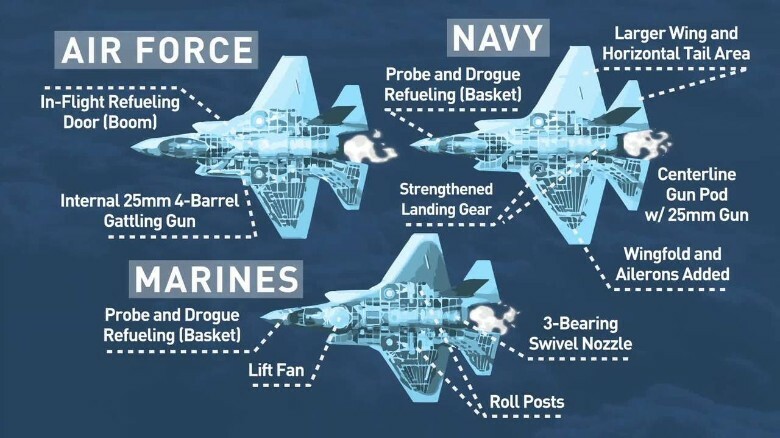 As the F-35 Joint Strike Fighter finally receives active combat clearance, and enters the Air Force as a battle-ready aircraft, we saw a lot of caveats of the troubled Lockheed Martin’s fighter program. In a nutshell, it’s over budget, over the planned timeframe and over the much needed operational limit for current USAF and NAVY fighters as well. Sadly for the program, it is also weaker in combat than a 40 year old F-16, yet alone F-15 and F-18 fighters. This means, that in true facts and reality the F-35 is so much delayed, that current F/A-18 and F-16 fighters are nearing their operational limit. It also means, that current conflicts that the United States and their allies are part of in various parts of the world, are also putting a lot of stress and hours on the aircraft body frames which were not supposed to happen in that range in today’s military planning. F-35 is an example of aircraft that tried too many changes to the original frame in order to make it work. Source: CNN. This in turn brings us to a possible solution. To manage the low-intensity conflicts all over the world, the United States military would be best of with a cheaper, more versatile and easily procured fighter and attack aircraft. While they may not be as good in peer-to-peer state conflicts (namely China and Russia), these would be perfect for such wars and air campaign situations that the US is currently involved in in Iraq, Syria and other hotspots in the Middle East and Africa for example. This would mean that a new version of the F-16 or F-18 could be made, further making sure the USAF and U.S. Navy stay within their operational limit. Even the upgraded F-15 might be a too expensive as a solution. This means that a single-engine fighter aircraft, a successor with the two branches in US military for the F-16 would do the job. Incorporate modern situation awareness equipment, add the ECM (Electronic Countermeasures) to the aircraft’s abilities and together with new weapons procured for it, this airplane would fill the task of most modern low-intensity conflicts perfectly, staying away from too much usage in flight hours for the F-22, F-35 and current generation workhorses like the F/A-18 or F-16 but also the much used F-15C Eagle. All could be used in the current fighting scenarios where the opponent doesn’t have anything to put up in the air at all for example. This means a cheaper, more viable solution would be brought to the table, clearing the way for any further work, design and redeployment needed of the F-35 and it’s finalization of curing it’s child diseases in that setup. With a cost of approximately $25 million each, this aircraft would be the best bet to take away the flight hours and save them for the newer, more stealth oriented and air superiority type of aircraft available. Naturally this would be the fly away cost, which would gradually grow a bit thanks to the weapons, training and other intangible assets needed for this aircraft overall. Either that, or simply ordering 100-150 more F-16 and F-18 fighters to maintain the status readiness. But in my opinion this is all wishful thinking, as the US Military complex would be squashing this or any similar idea in the beginning to make way for its troubled, $350 billion over-budgeted love child – the F-35 fighter program on the high-end, and UAV’s (U.S. military machine uses or used numerous UAV’s and Drones) on the low-end of the selling grade . But we can all give it some thought. The Marine Corps, not the Air Force, cleared the F-35 for active combat.